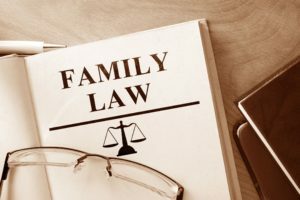 A Decree of Legal Separation determines the parties’ financial responsibilities to each other, can divide property and debts, address custody and visitation of children and determine child support and other child related issues. It does not end the marriage. Denise Gallagher is a Legal Separation Attorney. A legal separation in Nevada must be by agreement. As such, a Court cannot grant a Decree of Legal Separation over the objection of one of the parties. Legal separations are desirable for a number of reasons. They are often utilized when a spouse would lose valuable health or retirement benefits if the parties were divorced. Additionally, parties seek legal separations for religious reasons. A court can modify orders of support, custody or maintenance in a Decree of Legal Separation just as it could in a divorce. A legal separation does not preclude one of the parties from filing for a divorce in a subsequent action, however, the property division contained in the Decree of Legal Separation cannot be modified absent an agreement. As such, the property division in a legal separation is a final, binding judgment. While legal separations are relatively rare, the Gallagher Attorney Group has over 20 years of experience in this area of the law and can assist you in finalizing your legal separation. How is Child Support Calculated in Nevada? Gallagher Attorney Group is now open and ready to handle your legal needs!